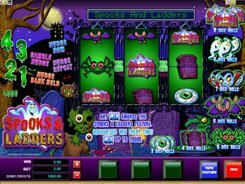 Mummy Munny is a Vegas-style 3-reel slot with five paylines and a wild symbol. The game has three symbols: bars, sevens and themed mummies. 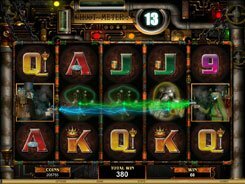 As it is in most classic slots, bar symbols come in three variants (single, double and triple bars), but only matching bars, not any three bars, create a winning combination. A coin size is adjustable from $0.25 to $5, with a single coin accepted per line. 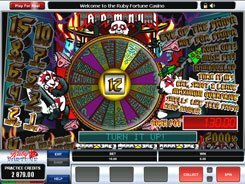 Therefore, the maximum wager you can place per spin reaches $25. 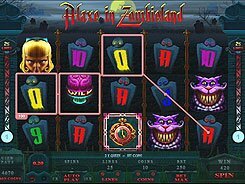 The maximum fixed jackpot is $25,000; it is awarded for hitting five Mummy symbols on line #5. 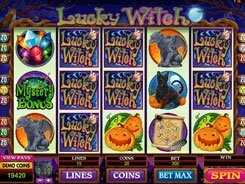 To grab the jackpot, you need to activate all the five lines and choose the maximum coin value for your bet. Besides, the Mummy acts as a wild helping to create winning combinations. 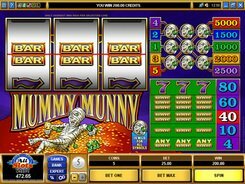 Though having a themed twist, Mummy Munny is still a classic video slot with no bonus games or free spins on offer. 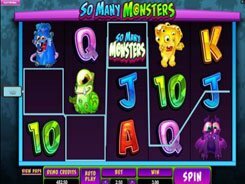 The game will definitely appeal to classic slot aficionados and beginners who look for simple slots to gain practice. PLAY FOR REAL MONEY!